I’ll confess: I’m a Starbucks addict. Give me a tall, venti, grande anything and I am set for the rest of the day. So we have some particularly exciting news coming out of Square Wallet today: the mobile payment system just added 7,000 Starbucks locations to its roster. Starbucks customers are already fairly savvy when it comes to mobile payments. 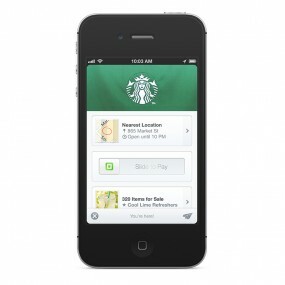 In fact, its loyal base uses the official Starbucks app more than two million times per week. That’s a lot of coffee. There are a few differences between the two apps. With the Starbucks mobile payment system, customers have to load a prepaid card, which is then stored on a phone. With Square Wallet, consumers can choose to pay with a credit or debit card. However, the Starbucks app has a slight edge: after a certain number of orders, customers can earn free drinks. Regardless of which mobile payment system you choose, it is decidedly a good day for coffee lovers everywhere. Previous Previous post: Welcome to Tinseltown, Buzzfeed!